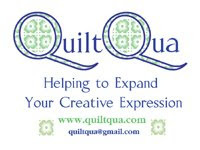 This blog is primarily about quilting & sewing but also incorporates a bit about my journey to a healthy lifestyle and my family. All of it will include a healthy bit of sarcasm, mostly at myself, but really, none one is safe! I've been a part of what? WQW Absolutely love it now that would sit just nice on my bed lol. Nice! Is that polka dot fabric the back? Not one I remember seeing. Love it though, it's very pretty. Very pretty. 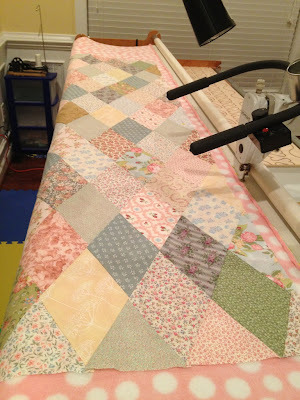 And I'm loving the polka dot backing. Progress. A little at at time.